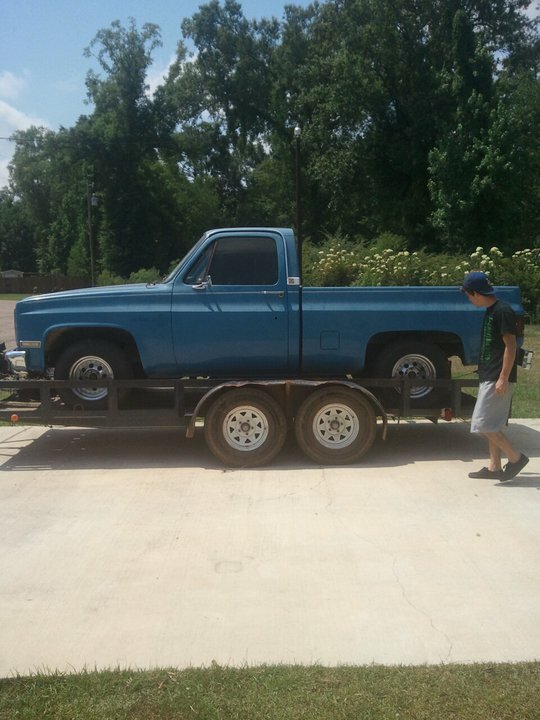 I just bought an 84 Chevy C10 today. I am dropping it off to Keef's Rod N Custom this weekend if i can get someone to pull it up there. Pictures will be posted soon. Thought YOU were gonna build this one?????? Nope, I didn't say that lol. I would love to but, due to certain situations i'm not going to be able to. We can body it later on though. Ok, allow me to rephrase that for you. I am not actually bagging it but, maybe body drop it later on. " I " will do everything else. so wait ur doin the titan and the c10? No sir, Just the C10 now. It will be much cheaper for me. Yea, it is going to be sick when i am done man. Don't worry. Yes sir. Any ideas for paint color? Starting to work on it this week. I will take pictures for this thread. Don't understand why these pictures turned side ways but, whatever. The truck is running now. We just have to work out a few bugs. A few more minor things to be done and then its off to Keef's. Yea man. It will come together soon. I will also keep the project build pictures up to date. Putting my eddlebrock Carb on the motor this week and bringing it to Keef this weekend Hopefully. Wish me luck lol. I dropped my C10 off at Keef's and got my Titan back. 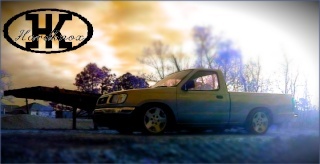 whats the stats on the c10? Yea, he is going to narrow the rear end so he needs my wheels. That way he knows exactly how much to narrow it. I am shooting to get it back in time for Siknic. How much has been done since you dropped it off?